The Underwater Light by Freewell is designed for use in situations that require sufficient artificial lighting. The light is mainly designed to be used underwater but is also suited for use in conditions with low or no light. This portable light has an advanced and stronger battery for prolonged use. 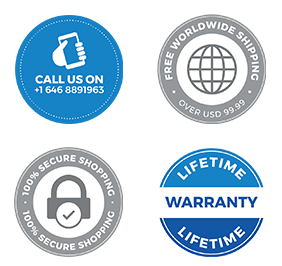 The design and construction of the light are meant to provide optimum safety from physical damage. Durable – Constructed to last long, the light head is covered using a high-grade aluminum cooling cover with an advanced over-heat prevention system which kicks in at temperatures exceeding 55 degrees. Reliable – The light has been tested rigorously for durability and its waterproof features. 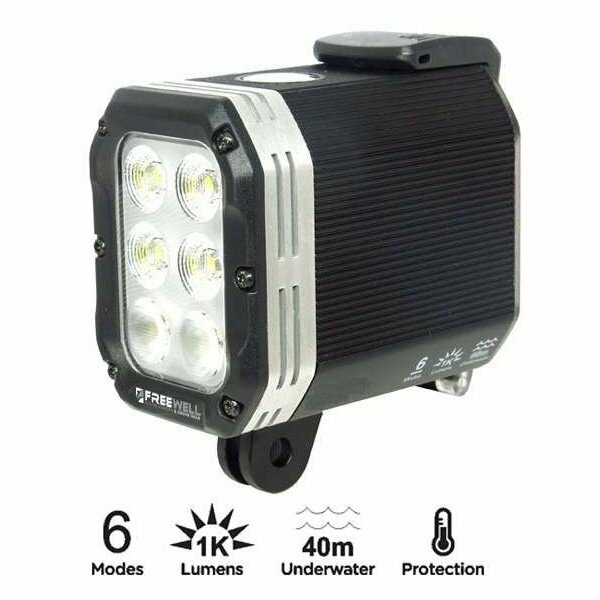 The light is able to function perfectly at depths of 40 meters (130 ft) with IP 68 rating. Efficient – The light is powered by rechargeable and removable 2200 mAH Lithium Polymer battery that runs constantly for max 3.5 hours. 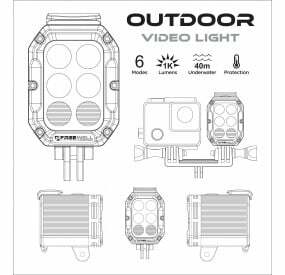 It powers 6 strong XT-E CREE LED lights to provide optimum luminosity of 1000 lumens. 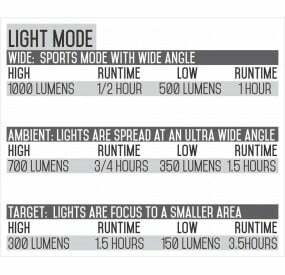 Dynamic – The light can be set to function in any of its 6 easily selectable modes, including Wide, Spot, Target and Ambient settings. 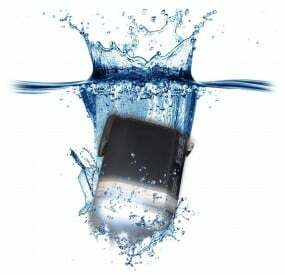 The Underwater Light by Freewell is the best choice for a reliable, strong and durable portable lighting solution, especially when filming outdoors away from electric charging points. 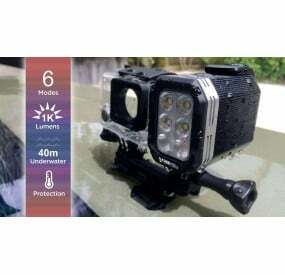 The Underwater Light is suitable for action filming underwater or in low lighting conditions.